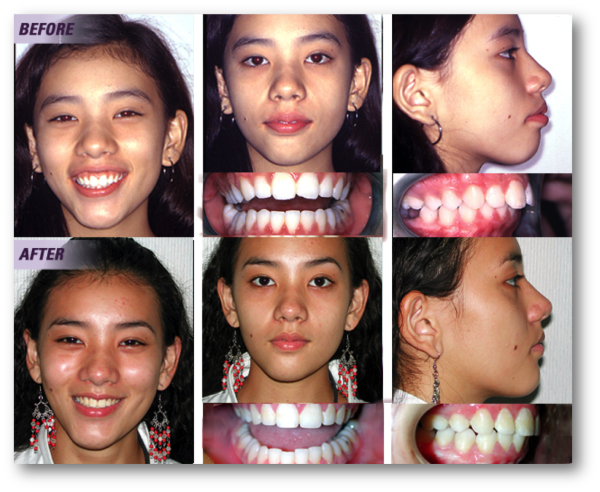 Skeletal Anchorage is a revolutionary technique developed to correct protrusion, gummy smiles and issues of such nature. Alongside with orthodontics (braces), skeletal anchorage allows patients to avoid the use of headgear, reduce treatment time, avoid extreme surgery, and allow patients to see results in just a few months. As shown above, the patient had suffered from protrusion that affected his speech, breathing, and smile. 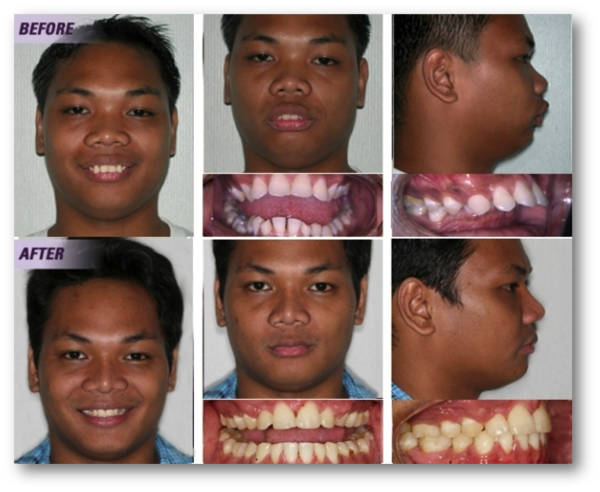 Through the use of skeletal anchorage, the patient was able to regain his confidence and obtain a more natural-looking smile. "The potential of skeletal anchorage is broadening the current orthodontic treatment spectrum, guaranteeing the practitioner absolute control of anchorage by avoiding the unpredictable reactions of periodontal anchorage, leading to a reduction in unwanted side effects." -National Center for Biotechnology Information. Wehrbein H. "Skeletal Anchorage In Orthodontics". J Orofac Orthop. 2007 Nov;68(6): 443-61. 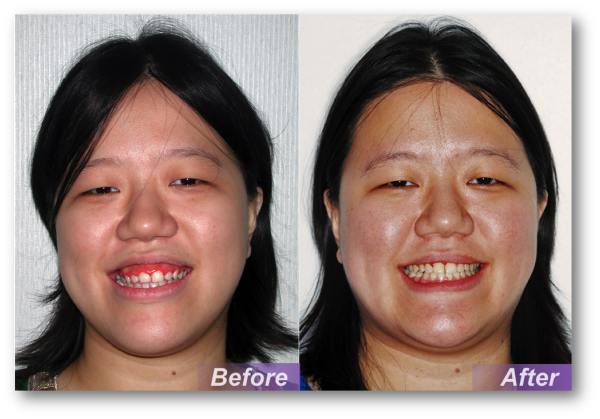 Many patients are not aware that gummy smile corrections are available. Here at our office, we strive to always find solutions to our patients' dental needs. We love to see satisfaction in our patients when they leave our office.